The design and layout of the Jack House challenged the conventional style of 1950s Australia. Oriented away from the street, the house embraces the natural landscape and has been described as robust, modest and unfussy. Russell Jack studied building construction and freehand drawing by correspondence during his years in the Royal Australian Air Force. He graduated from Sydney Technical College and in 1952 gained experience working for architectural practices overseas. 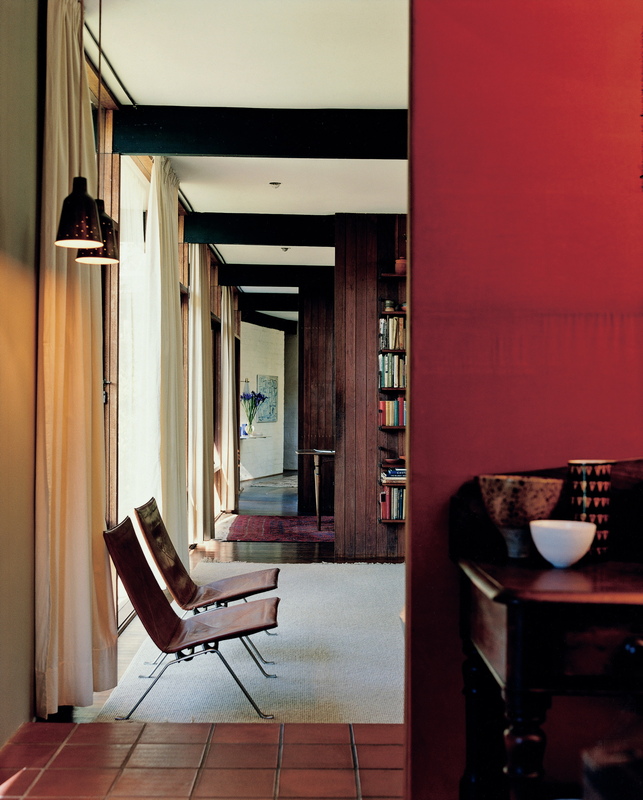 The Jack House was designed and built as his family home, winning the prestigious Sulman Award in 1957. Interior design expert, Annalisa Capurro, purchased the house in 2009 and is only the second owner of the house. She was proactive in listing the Jack House on the NSW State Heritage Register. This house is modest and functional, it is human and nurturing, and has provided warmth and shelter to Jack and his family for 50 years. Scroll through the photographs below to see details from the house designed by Russell Jack. 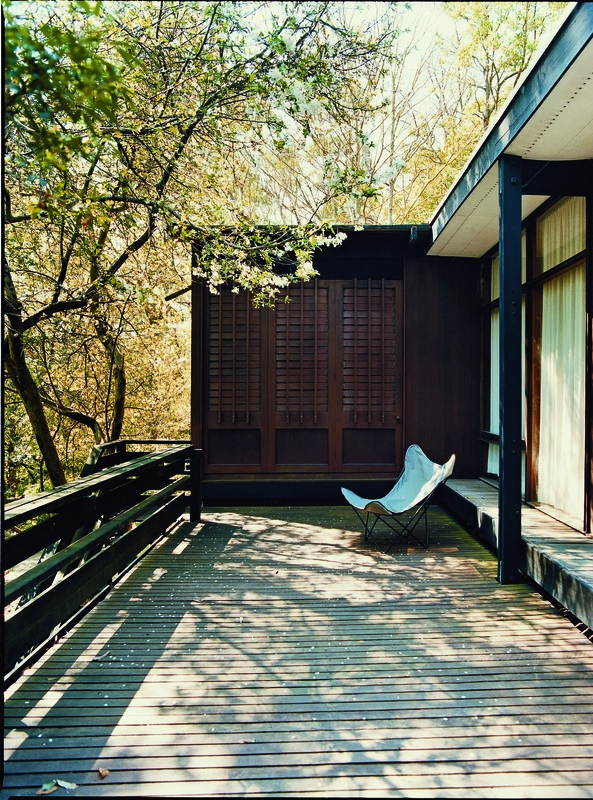 Photographs by Michael Wee for the publication 50/60/70 Iconic Australian Houses: three decades of domestic architecture, by Karen McCartney. 50/60/70 Iconic Australian Houses, by Karen McCartney. "Jack points to the economy of the house, and the kitchen is a good example of its beautiful, measured quality. Located at the rear of the dining room, it is a very simply designed, functional space. 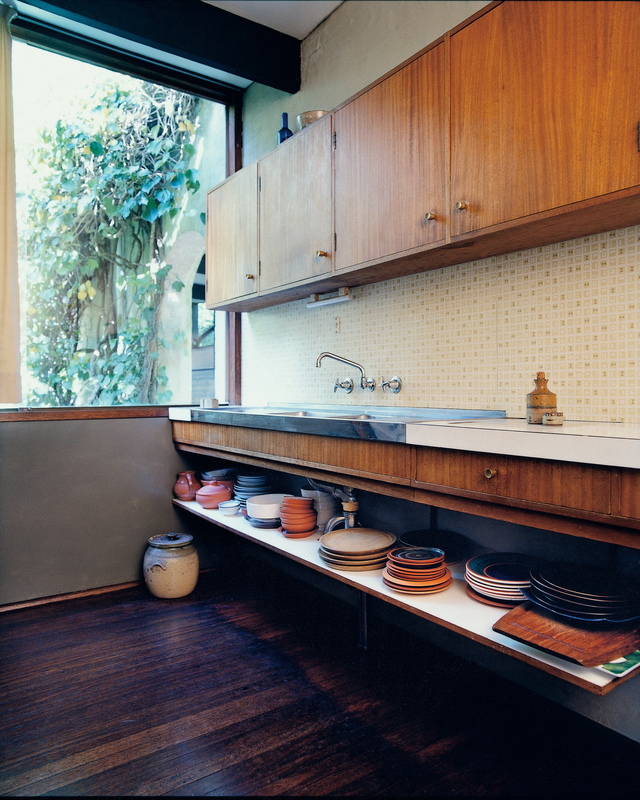 Along the back wall is a row of high cupboards in maple veneer, below which is a slim bench with a stainless steel sink and white Formica benchtop. Underneath, and running the length of the wall, is an open shelf which provides storage for crockery and serving bowls. The spacing of the cabinets and their relative depths is proportionally pleasing." "The tiled area was originally an external space [terrace] but, as the needs of the family grew, it was enclosed to create another room." "Jack has cited a number of influences from Alvar Aalto and Frank Lloyd Wright to Japanese traditional buildings and landscape, drawing on different attributes of these architects or architectural styles to suit his needs. 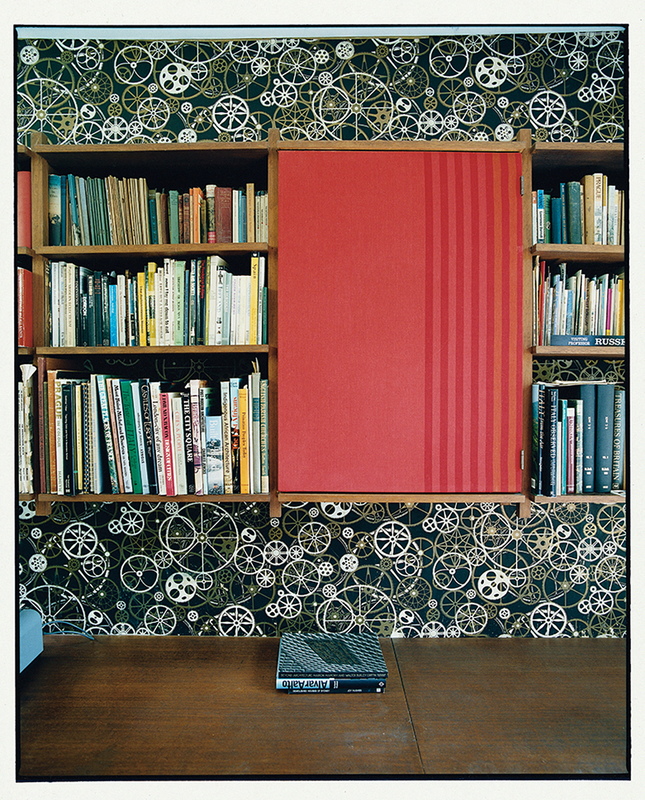 He also felt that the contemporary minimalism needed humanising, and restrained decoration was one way of achieving it. The timber screen outside the main bedroom is functional in that it provides privacy, but is also decorative since the battens vary in height and thickness. Foliage and sunlight create a dappled play of light which subtly enhances the link with nature." 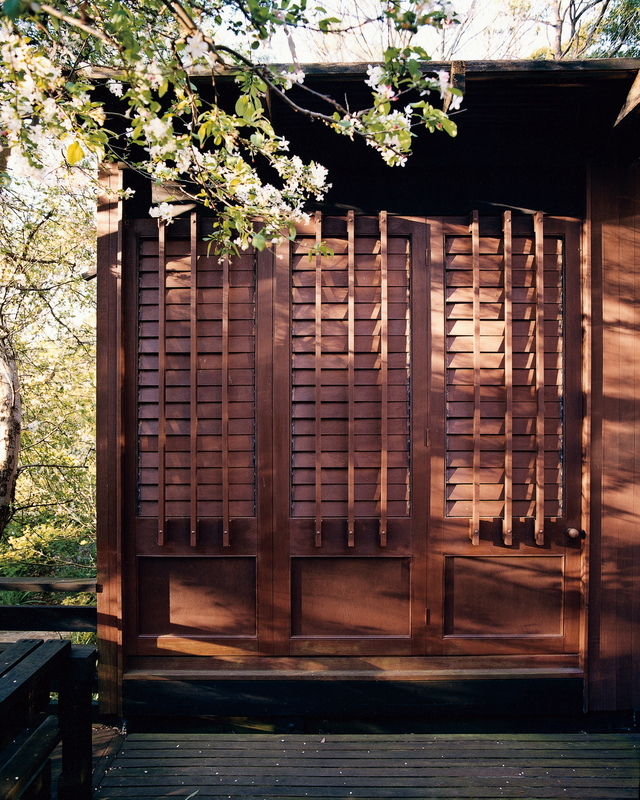 "The decorative wooden panelling at the end of the broad veranda illustrates the appeal the Japanese aesthetic held for Jack. The dappled light and blossom on the tree further enhance the appeal of this outdoor space." "In 1956, when the Jack house was built, some architectural devices were not considered appropriate by architects at the vanguard of modernism. The arch was one such form. While considered reactionary by some, Jack found it entirely suitable. It was the logical, truthful way to form an opening in a masonry wall since it needed no overhead support. 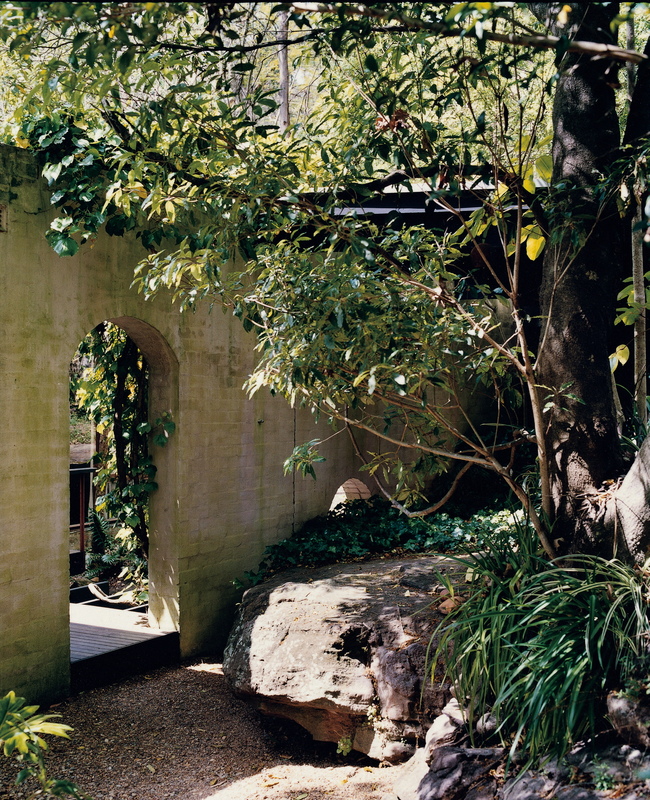 The house is designed to turn away from the street and face the bush, and the passage through the arch takes the visitor from the public nature of the street into what feels like a secluded, private world."